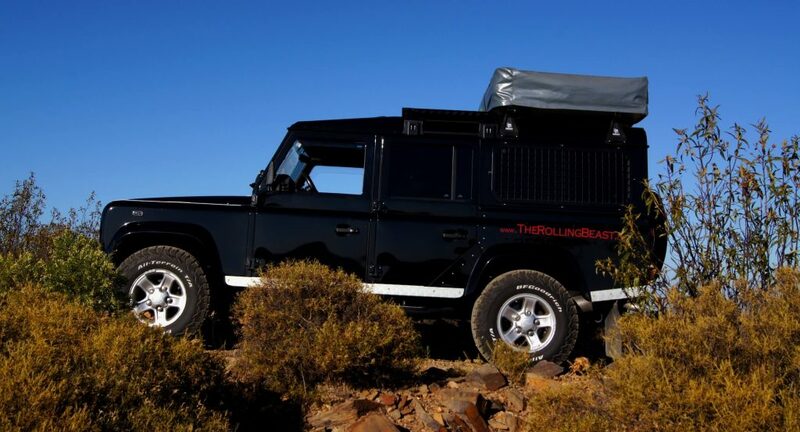 The Land Rover Defender is equipped with a permanent all-wheel drive. To avoid tension, especially when cornering, it has a central differential between the front and rear axle which can be locked to prevent spinning on soft, stony ground. Also known as a reduction gear. In the off-road gear, the force is doubled to the wheels and the speed is halved. This is a rule of thumb and differs depending on the vehicle. 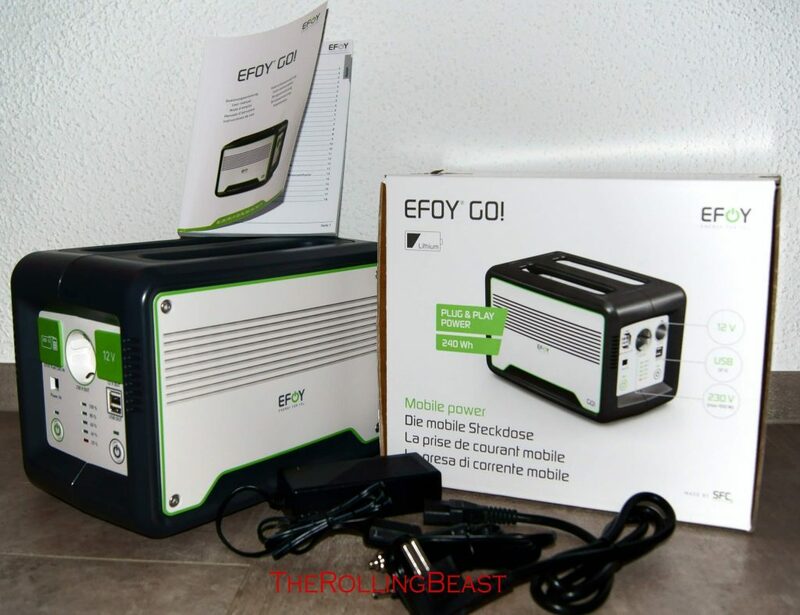 By doubling the force on the wheels, the effect of the engine brake doubles when driving on steep slopes which means that even steep descents can be mastered without a foot brake and only in 1st gear with the aid of the engine brake. At the latest when one of the wheels spins on soft ground, the time has come to engage the differential lock. Before that, however, would be desirable. 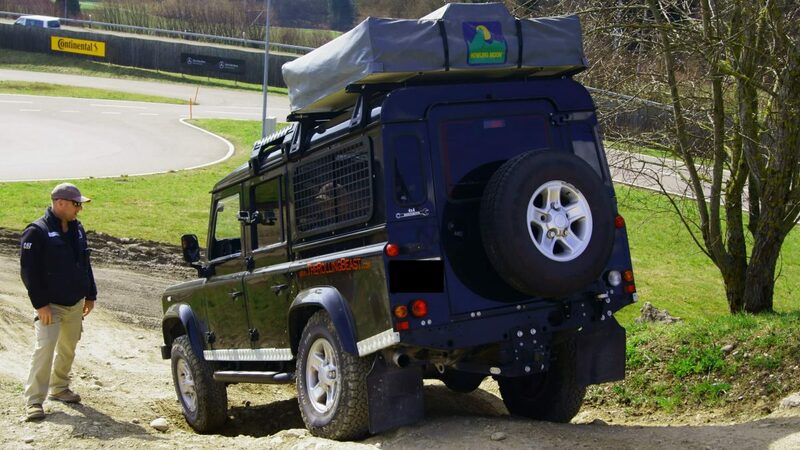 The Defender has a central differential that rigidly connects the differential gears of the front and rear axle. Therefore, the barriers may only be used off-road and when driving slowly. As soon as the vehicle is back on solid ground, the differential lock must be removed, otherwise serious damage to the vehicle may occur. The differential lock should always be engaged in plane and straight section. Never when the tyre is spinning. The Rolling Beast is equipped with ABS and TCS. 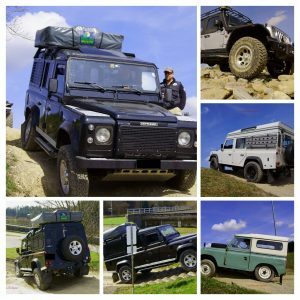 But not every Defender has this supposed luxury. The TCS electronically controls the wheels on steep gradients and releases exactly the same amount of power to prevent the wheel from spinning. 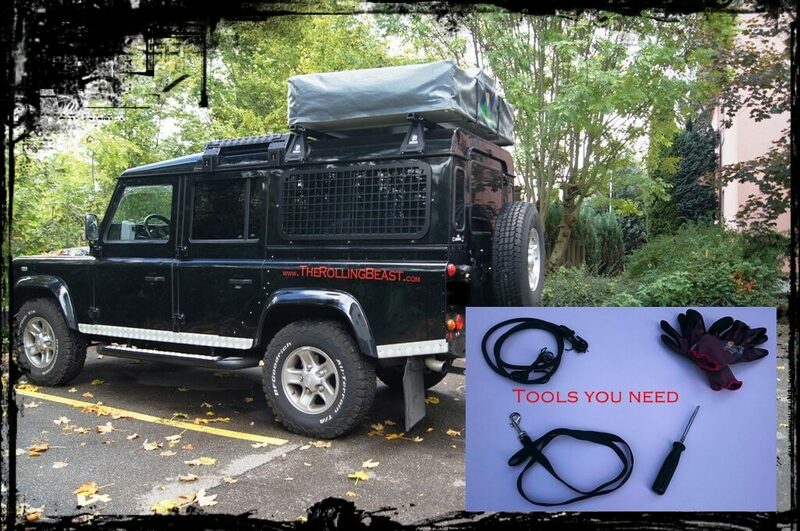 You can find out if your vehicle is equipped with it in the operating instructions. In principle, drive as slowly as possible, as fast as necessary! Thumbs up, as the steering wheel can hit hard off-road and there is a danger of breaking the thumbs. Do not drive too close to the vehicle in front, if the terrain is unclear and the gradient is steep, first walk on foot. Normal tyres are not suitable for off-road driving because they lubricate in the mud and are not stable enough. The Rolling Beast is equipped with BF Goodrich All-Terrain T/A KO2 with snowflake symbol. These are All Terrain tyres, which are suitable for occasional use on railings, but also on normal roads, in wet conditions and in winter (snowflake symbol). This is the distance from the ground to the deepest component. 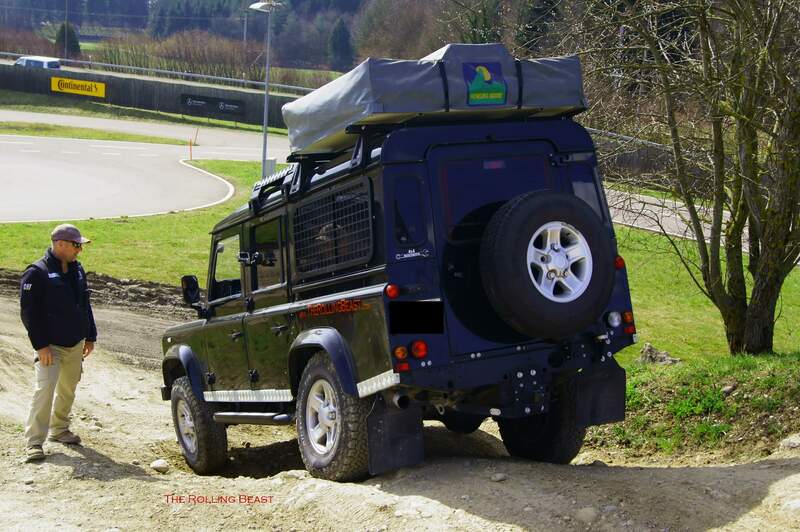 The Land Rover Defender has quite a large ground clearance. The lowest points are the differentials. The vehicle has an approach angle (front) and a departure angle (back). The approch angle is the maximum gradient that can be climbed from the plane without touching the ground. 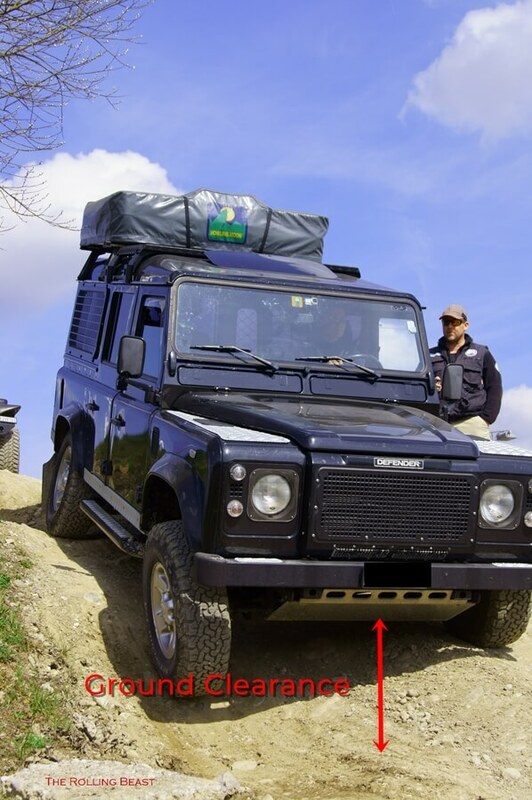 The higher the vehicle, the steeper the gradient can be approached from the plane. Not to be forgotten is also the departure angle, which is important when descending into the plain. Don’t forget the trailer coupling in your calculation! 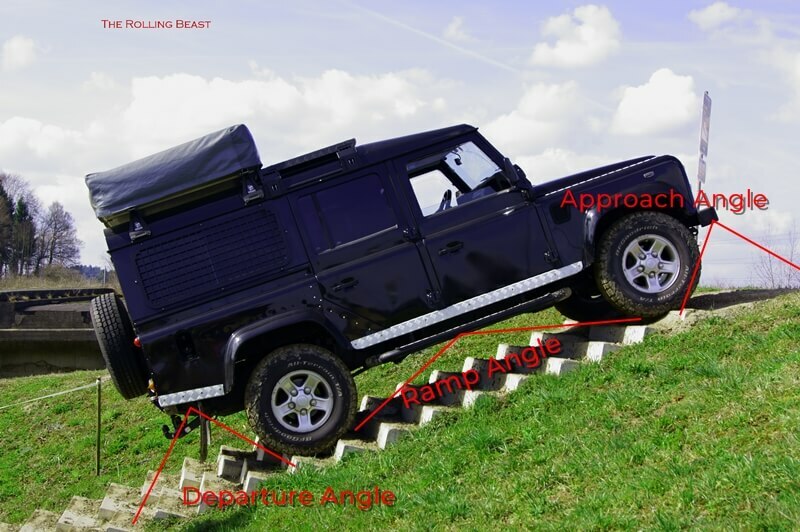 If you want to drive the vehicle over a hilltop at an angle of 90°, the ramp angle is decisive. The higher the vehicle and the shorter the wheelbase, the better the ramp angle. The ramp angle can be significantly improved if you approach the hilltop at a slight angle and only return to the straight on the hilltop. Caution: Always keep an eye on the tipping angles of a vehicle. It would be a pity if the hilltop could be passed without touching the ground, but the vehicle overturns. Such manoeuvres are always as slow as possible. This indicates how steep gradients can be negotiated with the vehicle. This strongly depends on the vehicle. Important factors are engine power, transmission ratio, weight or weight distribution and tyre traction. The name comes from “wading through the water”. The wading depth is the maximum depth of a water that can be navigated by the vehicle. In general, it is an advantage for the longevity of the vehicle to avoid waterways as far as possible. If you have to drive through water, it is essential to check the subsoil and the depth in advance. Stagnant water is often muddy, as is the subsoil. Here is the possibility that one threatens to sink in. Important after a trip through muddy waters, clean all important parts promptly, especially electrical connections. Running water is usually cleaner, but the subsoil can often be stony and rocky. In addition, there is the stream, which must be taken into account. It is best to install recovery straps before driving through the water. Afterwards it can be difficult to fix them on the vehicle. You should definitely avoid stopping in water. Drive at constant speed, do not brake and do not shift gears! 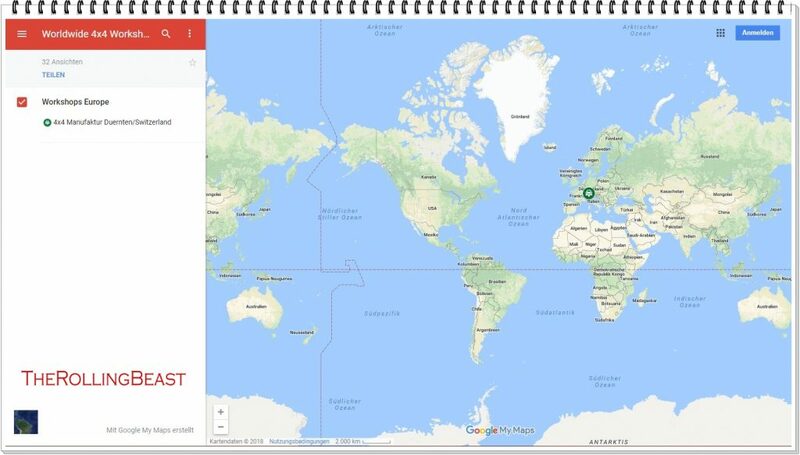 Therefore, analyse in advance exactly how and with which aisle the passage is to take place. 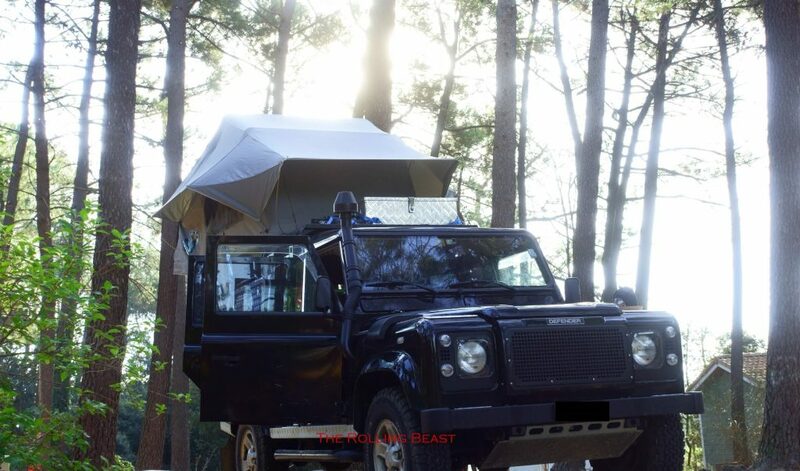 How to easily set up and take down your roof tent alone! Watch my video! 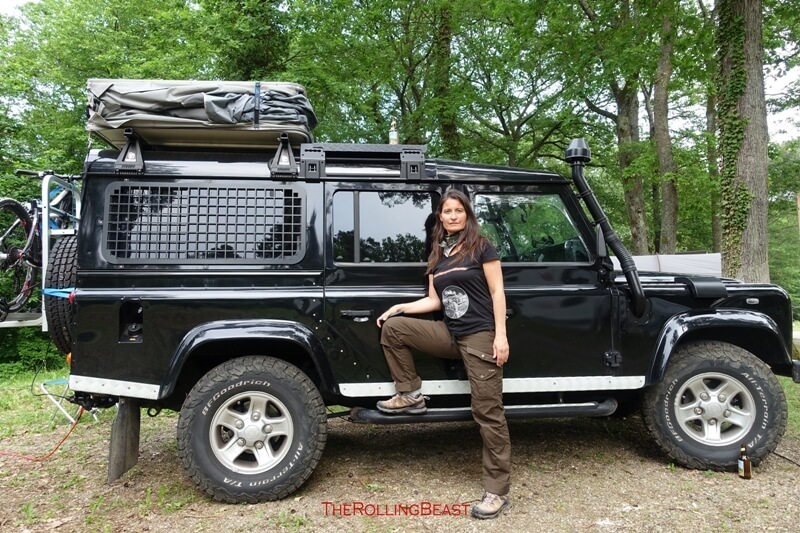 With this video I hope I can teach you the simplicity of setting up and taking down a roof tent on your Land Rover Defender alone.